'Village Voice' Veteran And Jazz Critic Nat Hentoff Dies At 91 : The Two-Way The First Amendment champion and lifelong jazz enthusiast authored dozens of books and regularly contributed to several newspapers, in a writing career spanning more than six decades. 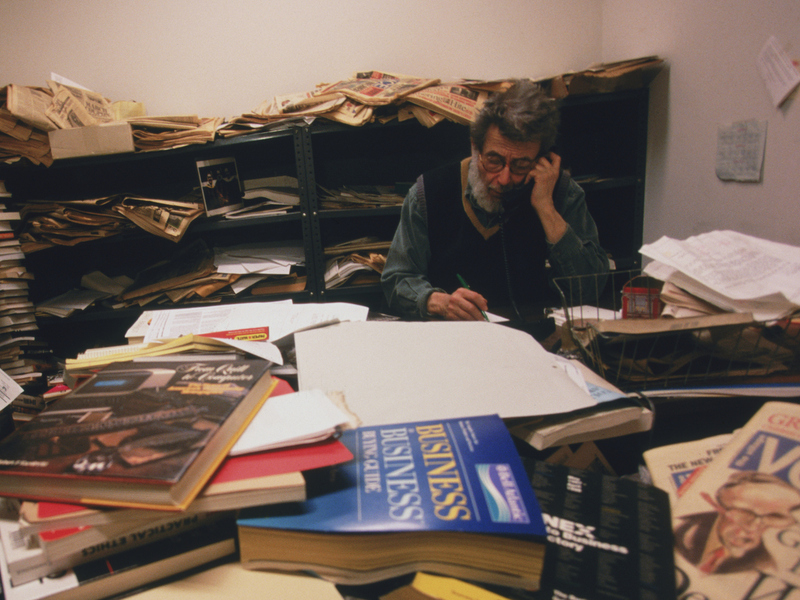 Nat Hentoff is in his office at The Village Voice in this undated photo. He wrote for the paper for 50 years. He frequently wrote about issues surrounding civil liberties — the Voice describes him as a "civil libertarian." His 1982 novel The Day They Came to Arrest the Book tells the story of a high school that seeks to remove the book Huckleberry Finn from the school curriculum and library over racism and other issues. A student from the school newspaper fights the effort — an allegory on censorship. He also was a lover and frequent writer on jazz music. From age 11, he was hooked on the genre after hearing the song "Nightmare" by Artie Shaw coming through an open door at a record store. "It just reached inside me," Hentoff told NPR's Guy Raz in 2010. "I rushed into the store, 'What was that?' "
Over the six decades he spent covering jazz, he attended plenty of performances and met many musicians. He "got to be very good friends" with jazz great Dizzy Gillespie. At one point, he sat in on a recording session featuring Abbey Lincoln, Coleman Hawkins and Max Roach. "The music just became part of you as you heard it," Hentoff said of the experience. His most memorable show he attended was Duke Ellington "with his full orchestra" at Symphony Hall in Boston, playing the jazz work "Black, Brown and Beige." "It was the history of black people in the United States from slavery to the present," Hentoff told NPR in 2010. "And it was so extraordinary. At the end ... people were so moved they could barely applaud until they gave a standing ovation." 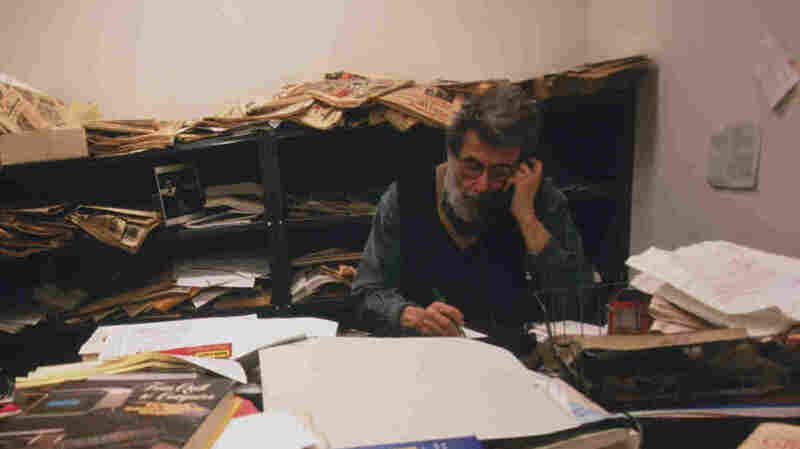 Hentoff started writing for the Village Voice in 1958 until he was "excessed" in 2008 by new managers. A few days after his firing, he told NPR that condolences he received from readers afterward were "like reading one's obituary while you're still alive." But he vowed to keep writing. "If you're in this business because you want to change the world, get another day job. If you are able to make a difference, it will come incrementally, and you might not even know about it. You have to get the story and keep on it because it has to be told."